popcorn is synonymous with movies, so it seemed only right to make some popcorn to eat while we watched to oscars last night. 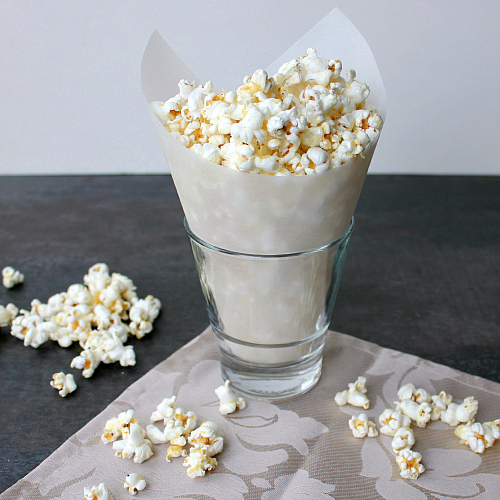 instead of making traditional movie-theatre style popcorn, we decided to jazz things up a bit. after all, the oscars are a classy event so our popcorn needed to be a bit classy too. we gave our popcorn a rich flavor with black truffle oil and himalayan truffle salt (both of which we bought at trader joe's). then we added freshly grated parmesan cheese to the popcorn to take it to a whole new level. the combination of the black truffle oil, himalayan truffle salt, and freshly grated parmesan cheese was decedent. it was a great snack, worthy of an oscar for sure! 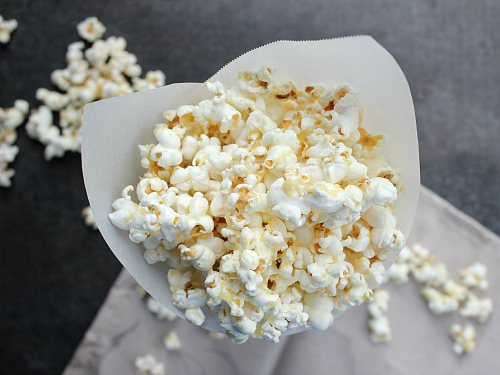 preheat your oven to 250 degrees F. using an air popper, pop the popcorn into a very large bowl. be sure to remove any unpopped kernels from the bowl. 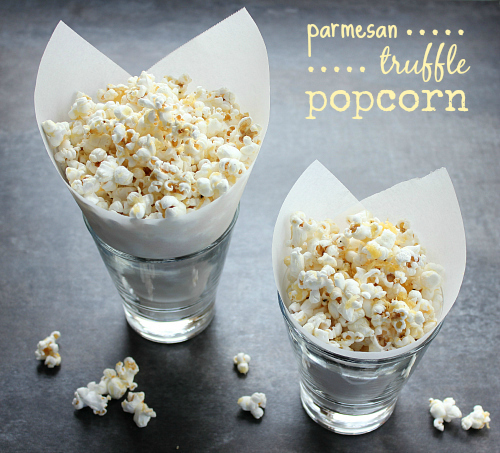 pour the melted butter and the truffle oil evenly over the popcorn, and toss well. toss in the cheese, and season with truffle salt to taste. 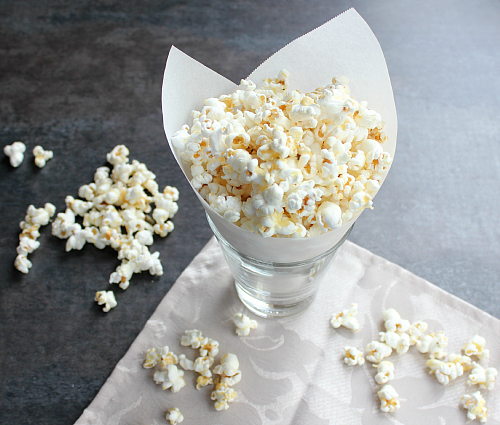 line a baking sheet with aluminum foil and evenly spread the popcorn on the baking sheet. bake for 10 minutes to melt the cheese. once baked, allow the popcorn to cool completely. Sounds delicious and sounds expensive. Any time you hear truffles you think of big bucks. A classy popcorn for a classy event.